Location: Tournemire, in the Cantal departement of France (Auvergne Region). Ownership / Access: Family Pelissier Léotoing Anjony. 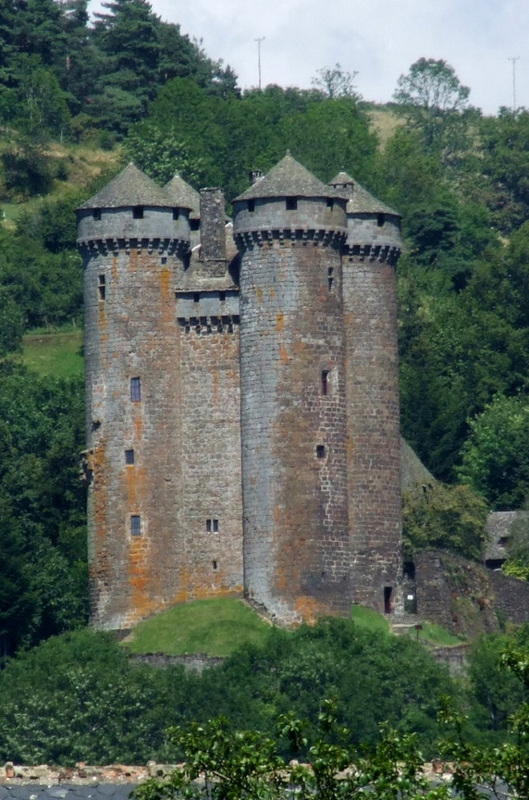 Notes: Château d'Anjony is a castle located in the town of Tournemire (Cantal), Cantal department (France), built in the early fifteenth century by the family Anjony. 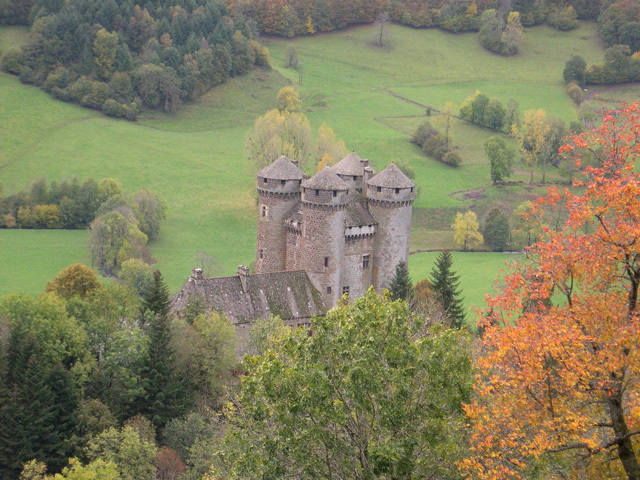 In 1351, William Johanini arrives on the lands of the family of Tournemire, one of the most powerful feudal houses of Auvergne. The family of Johanini is ennobled in 1360 and adopted the name Anjony. In 1368, Bernard Anjony bourgeois Aurillac, wife Marguerite de Tournemire. During the Hundred Years War, both families belong to two distinct clans: the Anjony making allegiance to the king of France while Tournemire, sovereign in their land, align themselves with the Plantagenets. Authorized by Charles VII, Louis Anjony built the medieval dungeon, near the castle Tournemire, to shelter armed body, causing a deep hatred between the two families to murder of Claude Anjony in 1523. In 1590 an agreement between the two families recognize the "parity of honor" and the rivalry ends twenty years later by the marriage of Michael II Anjony the heiress of Tournemire. In the eighteenth century, Claude Anjony, Marquis of Mardogne, lieutenant of the body of royal guards, began construction of the main building which adjoins one of the towers. The castle then passed through inheritance in families Léotoing then Pelissier of Féligonde.